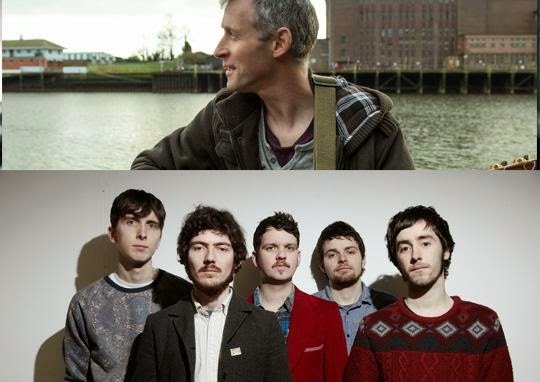 This week in Cork: Ger Wolfe, O Emperor, Sarah Jarosz, Carriages and more.. The excellent The Cave series return to Mitchelstown courtesy of Cork Opera House this weekend. Ger Wolfe, Mick Flannery, The Young Folk and more all descend the 88 steps for the most intimate of intimate shows. For the full details and an interview with O Emperor ahead of the three days of subterranean sessioning, see here. It's all about the "Carri"s mid-week as electro-folksters Carriages play their first Leeside headline show in Gulpd on Wednesday night, complete with special guests Carried By Waves. *Texan clawhammer queen Sarah Jarosz visits Coughlan's mid-month (19th) with the IMRO venue of the year providing the perfect platform for the multi-instrumentalist, dubbed by U.S. critics as the "next generation Gillian Welch". Although heavily steeped in the songs of the past, Austin's bluegrass belle is prone to nimbly dancing along genre lines having also covered more contemporary compositions such as Radiohead's The Tourist and more recently Joanna Newsom's Book of Right-On which appears on 2013's Build Me Up From Bones.